Looking to add the smooth simplicity of a sliding door to your home? Our Glass Sliding Doors are the perfect option for your home. And with their many design options and functional advantages, they’re a smart move too. Indoor/outdoor flow – Sliding Doors make it easy to bring the outdoors inside by creating a seamless flow between your home’s outdoor and indoor spaces. As sliding doors have large glass panes, they offer all-year-round views of your garden landscape and panoramic views beyond. Air Conditioning Friendly – The dual seal design of Sliding Doors minimises air leakage and produces an excellent air conditioning rating, ensuring you get maximum efficiency when heating and cooling your home. Security – Just like our Stacking Doors, our Sliding Doors are also fitted with lever lock security. Not only does this provide effortless operation when opening and closing, the multi-point locking system provides increased locking strength and added security. 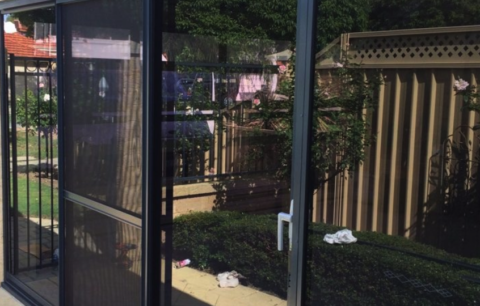 WA Custom Glass Sliding Doors come in a range of standard sizes. Ready to add the smooth simplicity of a sliding door to your home?